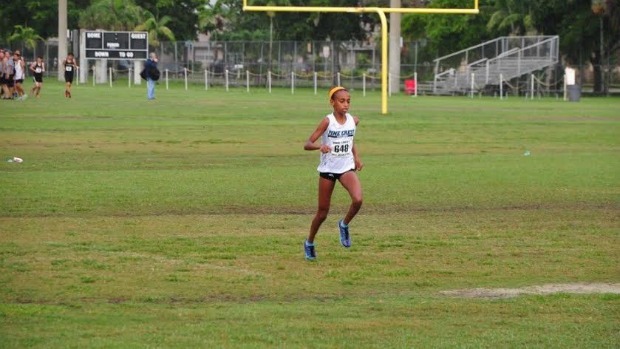 The girls’ race began at 4:30 p.m. Tsion Yared took an early lead and would maintain that the entire run to finish in a new meet record time of 18:59.64. Teammate Julia Montgomery was next to cross the line in 19:14.20 with Alyssa Pujals (19:21.69) right behind her, the two duking it out the last mile of the race. The Pine Crest girl's placed five in the top seven to win with 20 points, dominating the rest of the field. Mater Academy Charter was second with 82 points. As the boys’ race was getting closer, the rain had picked up and the course began to become muddy. All the teams were on the start line listening to the starter as the lighting alarm sounded causing a delay. Everyone was sent to their busses to wait for the all- clear. About fifteen minutes had passed, and then the much anticipated all-clear alarm would sound. The 253 boys poured out of the buses to get to the start line. The gun went off and the race started at an incredible pace. The course at this time was covered in thick mud that certainly slowed down the competitors. Despite the slippery course, five boys were able to run under 17 minutes; Ryan Rodriguez in a new meet record time of 16:26.44, Jaime Lopez (16:34.53), Joel Lacy (16:43.06), Bruno Zayas (16:54.74), and Tucker Hindle (16:55.98). The Belen Jesuit boys’ team won the boys’ race and placed a team score of 20 points beating all the other teams by a landslide. The event also featured a middle school 3k with athletes hoping to qualify for the Middle School State Championships. Gianna Milan, an 8th grader at University of NSU won the girl's race in 11:24.74. Host Pine Crest won the team title with their stable of youngsters, putting up 35 points. 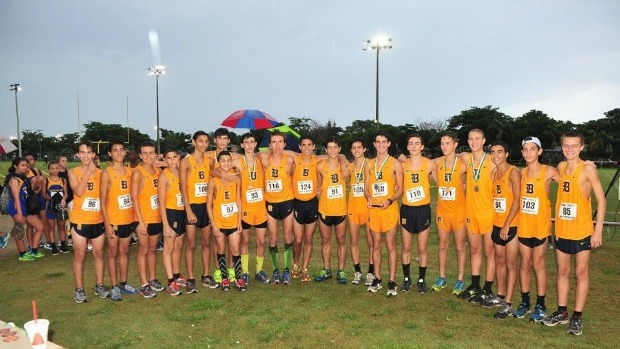 The Belen Jesuit boys proved their depth in the middle school races as well, filling up the top four spots, and putting a score of 17 points on the board. 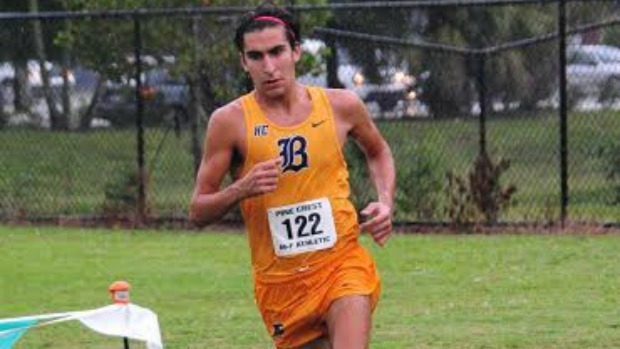 Sebastian Roa was the individual champion and set a new meet record for 3k with his 10:25.05 clocking. Pine Crest was second with 49 points. The following individuals and teams qualified for the FLYRA Middle School State Championship November 1st in Lakeland.